We’ve spent more than 150 hours indoors and outdoors to learn everything there is to know about fitness trackers. After considering new options and testing, our analysts giving top-rated fitness trackers for people who want to track their activity levels and progressively monitor their workouts. An upgraded model of our former top pick, the HR+ adds GPS tracking and workout auto-detection to some of the most accurate heart-rate monitoring we’ve seen. The Garmin Vívosmart HR+ nails all the core competencies of a good tracker by combining an always-visible display, five-day battery life, and the most accurate heart-rate readings we’ve seen to date in a wrist-mounted tracker that’s waterproof to 50 meters. It also has basic-but-effective sleep tracking. But what really sets the HR+ apart is its advanced fitness tracking features like built-in GPS (for more accurate run-tracking and pacing feedback) and Move IQ (which automatically recognizes and logs other types of exercises like swimming or cycling). These advanced features make it worth the premium over your typical wrist trackers such as the original Vívosmart HR (which is still good at a lower price point). It also receives smartphone notifications and can control your phone’s music playback remotely via Bluetooth. The Garmin Connect app is compatible with iOS, Android, and desktop computers, but it doesn’t have as many social networking features or users as Fitbit’s app. We think Garmin’s more capable hardware and improved accuracy make it the better pick for most people. The ultra-sleek Gear Fit2 has accurate heart-rate monitoring, optional GPS, and a robust notification system, plus all the activity tracking you desire. It’s a particularly good pick for Android users. The full-color Gear Fit2 is a sleek-looking gadget with many of the same features as our overall winner. 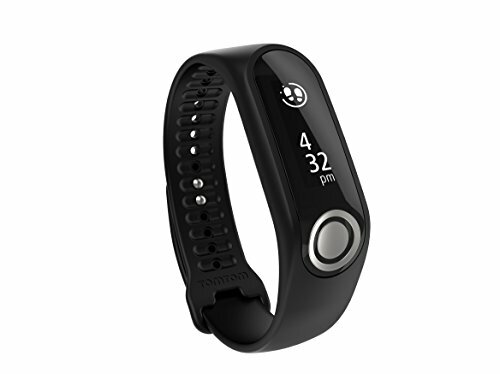 It’s noticeably thinner and a bit cheaper, but it also has GPS, a heart-rate sensor, and automatic activity detection. It’s the only tracker that lets you receive notifications from any phone app and even interact with some of them: you can actually reply to texts and email with canned responses, a functionality that disappointingly doesn’t work on the iPhone app. But all these smart features come at the expense of a measly two-day battery life—which limits its efficacy for sleep tracking and means you have to charge it almost daily. It’s also not super reliable: More than once during testing, the tracker began the workout before locking on to GPS, which means you could end up halfway through a workout without distance and route recording. Overall, the Gear Fit2 is a slick and smart device, but the more reliable Vívosmart HR+ is better for tracking fitness. Though it doesn’t have heart-rate monitoring, the sleek Flex 2 is our top choice for basic fitness tracking plus access to Fitbit’s awesome community. If you just want a simple way to monitor and track your daily activity (including workouts), nightly sleep habits, and get reminders to be more active, the Flex 2 is a great choice—especially if all your friends are on Fitbit. Unlike other Fitbits, it’s water resistant to 50 meters so you can track swimming and shower with it. However, there’s no screen—just five status LEDs to track progress towards your daily step count goal. 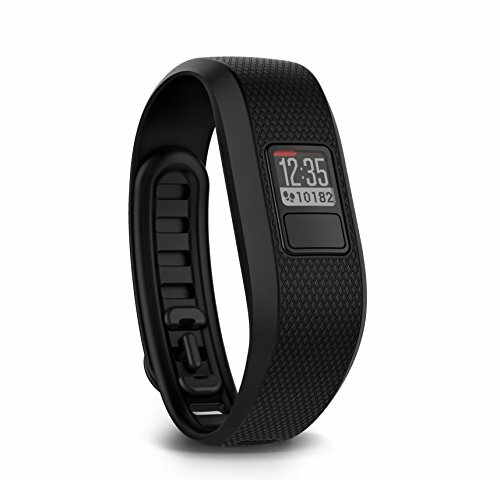 It also doesn’t track heart rate, but Fitbits in general continue to struggle with heart-rate accuracy, so we don’t see this as a major issue; it helps the Flex 2 maintain its slim profile and lower price. The Flex 2 syncs wirelessly to the Fitbit app on a smartphone or the Fitbit website on a computer to keep a record of your activity and link you to other Fitbit users—a real highlight, as research shows that friendly competition can be very motivating. For the tech-averse who want tracking, the non-HR Vívofit 3’s screen lets you view your data without fussing with an app and doesn’t need to be charged. With no battery to charge and no pressing need to sync to a phone, the waterproof Garmin Vívofit 3 is the best option for basic tracking without the need to use a separate app. While pairing it with a phone lets you access more information, such as sleep tracking, the small screen is enough to get most of what you need at a glance: time of day, steps taken, steps needed to reach your daily goal (in case you don’t want to do math), distance traveled, calories burned, and “active minutes” (Garmin’s measure of sustained walks and other workouts). It also requires no charging, instead lasting up to a year on a replaceable watch battery. Despite its generally lower-tech approach to fitness tracking, it does still have some smarter features, like automatic workout tracking via Move IQ and inactivity alerts to get you going after a too-long sedentary stint. For anyone who doesn’t want to wear something on their wrist, the Fitbit Zip is our recommendation. 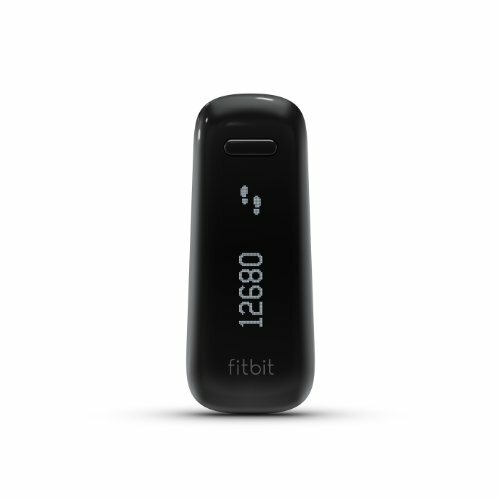 The tiny Zip is truly clip and go—it runs on a replaceable watch battery, so it requires no charging—and it has an easy-to-read display for you to check your progress at a glance.However, it lacks sleep tracking; if that’s important to you, upgrading to (and paying more for) the Fitbit One is your only solid option. Either gives you access to Fitbit’s very active social community to keep you going. I’m a certified personal trainer (NASM-CPT), a running coach (USATF Level 1 and RRCA), and a regionally competitive runner. I also served as a staff writer for the Good Housekeeping Institute for nearly five years, working closely with the engineers and other scientists to interpret product test results. Our survey of more than 800 Wirecutter readers told us that when they shop for a fitness tracker, they prioritize a slim design with a display, accurate step counting, waterproofing, and an integrated heart rate monitor. We also interviewed industry experts Jill Duffy of PCMag and Ray Maker of DC Rainmaker, and discussed heart-rate monitoring with Clinton Brawner, PhD, a clinical exercise physiologist at Henry Ford Medical Center in Detroit. Two new models from Garmin—the Vívosmart HR+ and the Vívoactive HR—plus two from Fitbit—the Charge 2 and the Blaze—Samsung’s Gear Fit2, the UA Band from Under Armour, and the TomTom Touch fulfilled the criteria we followed on our last go-round: all of the expected activity tracking (steps, stairs, sleep) plus onboard heart-rate monitoring. I set out to test these products both as a group and individually. To gauge step-count accuracy, I wore five of the new bands plus the winners of the last round (Vívosmart HR and Charge HR) simultaneously for two full days, paying attention to which devices’ instructions recommended wearing on the dominant hand versus the nondominant hand, if specified (I received the Charge 2 and the TomTom Touch later and tested them separately). I compared their readings with an older-model Omron pedometer, which was the winner of a Good Housekeeping test I once helped run (that is unfortunately no longer available online). 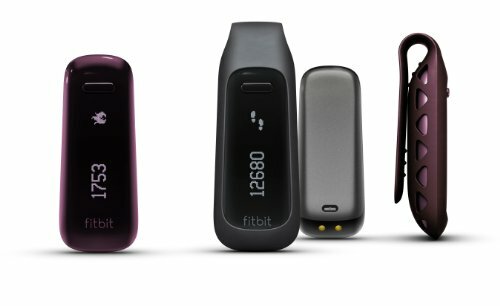 Step counts were generally consistent among models from the same brand (meaning the Fitbits counted consistently high and the Garmins consistently low). So they all work fairly well if absolute accuracy is less important than just getting a general figure you can aim to improve. The major low-end outliers: The TomTom Touch and the UA Band deviated from the control pedometer on average a mind-boggling 48 percent and 31 percent, respectively—terrible enough that we opted to disqualify them from further testing. One of the best performances came from the Samsung Gear Fit2, which on one day was 1 step different from the control, though that most likely is a coincidence; still, it was only 3.6 percent different the second day, so as far as step accuracy goes, it was most impressive. To home in on what might be affecting the accuracy, we tried several ways to isolate arm movement from leg and hip movement. First, I clapped along to Queen’s “We Will Rock You” (resisting the urge to also slap my thighs) to determine if arm movement minus leg movement registered as steps. This would be particularly important for anyone who sits at a desk and doesn’t want their arm movement to register as steps while they’re sitting. The claps foiled all but one wrist tracker—the consistently low-counting Vívoactive HR. I also took the trackers for a stroll pushing a grocery cart around my local supermarket to see if they could capture my strides when my arms weren’t moving. This is important because you want to get credit for stepping even if your arms aren’t moving, like if you were carrying something. Only two trackers registered any of the steps I took—the Fitbit Charge 2 and the Blaze—and even then they registered just a percentage of those recorded by the control. In the gym, I did a marathon set of 90 kettlebell swings to determine whether arm-plus-hip movement logged any steps. The purpose of this is to see if a rhythmic, non-stepping hip movement can foil the trackers. The kettlebell swings were counted as steps by all of the trackers, including the control hip pedometer. Next, I ran for 1 mile at a steady pace on a treadmill to see how well each device captured distance traveled. My movements were even and consistent in this test, as would be expected in a steady-state run. All of the trackers contain technology that determines stride length based on factors such as your height and movement intensity. On a few of them, you can set your particular stride length manually to improve accuracy. Instead of calculating and entering mine, I used the defaults in this treadmill test, assuming that most people might not fuss with something the trackers are supposed to automatically figure out. Because three of these trackers have onboard GPS, I also did a few tests to gauge its accuracy. I ran four laps (1 mile) on a standard track, and I ran 1 mile in my neighborhood, as measured by MapMyRun.com. The Garmins came the closest to matching the actual distance on both the indoor and outdoor tests, and the Samsung was not far behind. The Fitbits, which do permit customized stride length, both came up short, clocking in at 0.79 mile (Charge 2) and 0.81 mile (Blaze) on the 1-mile treadmill test (similar to the results I got last time with the Charge HR, Surge, and Fitbit One). The bottom line when it comes to step-count accuracy: All of the manufacturers concede that accuracy can vary. After all, wrist movements are consistent with leg movements only when someone is striding forward in a more or less straight line, which is not always how people move. But given that these devices’ ultimate intention is to capture the user’s activity and encourage more of it, all models that made it past our initial round delivered adequate performance. To determine your personal baseline, wear your new device for a few days without making any concerted effort to change your usual habits, and then use those numbers to build on. I performed two tests pitting each band against a Garmin chest-strap monitor: a five-minute steady-state treadmill run and a sequence of 30-second intervals of jumping jacks and recovery. For each, I recorded heart-rate readings every 30 seconds during the exercise and for 2 minutes of recovery following. When we last tested for this guide, trackers were generally slow to notice an increase in heart rate over short intervals when compared with the strap monitor, and in far too many cases, they overshot or undershot the control heart rate by more than 5 bpm (on the very outside of the tolerance that exercise physiologist Clinton Brawner told us is acceptable for training use). We’re happy to report some good news: The Garmins and the Samsung performed remarkably well on the steady-state runs, with readings for the most part within a beat or two of the chest strap. The jumping jack test wasn’t as successful; after my short interval of effort (30 seconds); every wrist tracker struggled to catch my heart-rate peak before it fell during the recovery period. The Samsung was most successful, often catching my elevated heart rate within a split second after I took my readings. The bottom line is, if heart-rate training is your primary aim, you’re better served with a chest strap monitor. Otherwise, relying on the talk test (checking that you can say a few sentences without excessive breathiness) or gauging effort based on how you feel on a scale of 0 to 10 may be a better intensity indicator for your workouts, regardless of what your wrist monitor is telling you. The Vívosmart HR+ has everything you’d expect from a good tracker but adds onboard GPS tracking and activity auto-detection, both of which performed above average in our tests. It still includes all the standard fitness tracker functions we’ve come to expect: step and stair counting, distance traveled, calories burned, and sleep statistics. But its long battery life (4 to 5 days without GPS) and full waterproofing (down to 50 meters) give it an edge. It will stay charged almost four days longer than the Gear Fit2 if you don’t use the GPS, and unlike most Fitbits and the Samsung, you can wear it in the shower after your workout. The Vívosmart HR+’s most significant leg up against the competition is its integrated GPS. This is not a huge surprise from Garmin, a company best known for its running watches, cycling computers, and car navigation units. What is surprising is that the developers managed to fit a GPS receiver and an HR monitor into such a small package—it weighs just 1.4 grams heavier than the first model, sticks up only a hair more, and is just as comfortable as long as it’s not strapped on too tightly (the raised lip of the heart rate monitor can leave a dent). It’s slower to connect to a signal compared to larger running watches or your smartphone, but it’s impressive nonetheless. With the added GPS, you’re able to get more detailed information about your walks and runs such as distance and pace. It also informs some of the workout modes, which include run-walk intervals and a virtual pacer that alerts you if you’re moving slower or faster than your preset pace. The GPS proved accurate, though it took longer to connect (minutes rather than seconds) than the near-instant but much larger Vívoactive HR—that’s the cost of going small. If you want to use it on a bike ride, you’ll have to select the outdoor “cardio” setting and change the activity classification later in the app or within your account at connect.garmin.com. Even without GPS, we found the distance-measuring capabilities (based on internal algorithms that take height and cadence into account) of all three Garmins to be excellent on our 1-mile treadmill test. 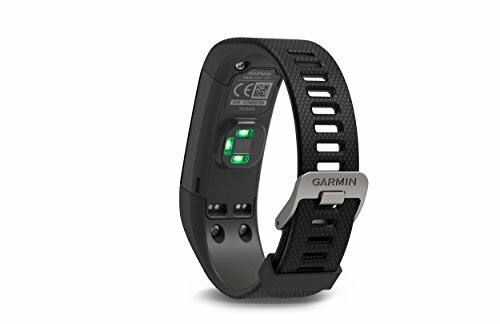 The other interesting addition is Move IQ, Garmin’s activity-detection software. If you head out for a workout—running, walking, biking, swimming, elliptical training—and don’t remember or don’t bother to turn on the correct exercise mode (or any exercise mode at all), this technology auto-detects that you’re being more active as long as you do it for 10 minutes or longer and even classifies what you’re doing. You get credit on the app for your hard work, though the details aren’t as robust as when you use the timed workout modes. Fitbit and Samsung have similar software, so while this is a good add, it’s somewhat de rigueur now in high-end trackers. Though Garmin tells us that the HR+ uses the same Elevate heart-rate measuring technology as the first Vívosmart HR, our tests showed that its measurements were much more accurate than its predecessor’s. This was particularly true during the steady-state run, during which the HR+ produced near-perfect data when compared with a dedicated heart-rate strap. However, like most wrist-based trackers, it struggled to keep up with short intervals, not registering a peak in my heart rate until I’d already entered my rest period. Overall, if your heart-rate training predominantly requires you to hover around the same bpm in steady-state exercise, you’ll be happy with the HR+, but if you want to use peaks and recoveries or you need to measure your heart rate more accurately for medical reasons, you’re still better off with a strap. Naturally, the HR+ tracks more standard information as well: steps walked, floors climbed, calories burned, distance traveled. In terms of step-count accuracy, it consistently undercounted the control pedometer on our tests (as did the previous iteration), yet it counted both hand claps and kettlebell swings as steps—more or less a break-even in the end. (Overall, we’d prefer a tracker that tells us we haven’t done enough than one that consistently overcounts.) Like the others, it auto-detects sleep and provides a log of hours spent awake and in light or deep sleep, based on your movement. The touch-sensitive passive OLED screen does the job and, unlike the Fitbits and Samsung Gear Fit2, its backlight comes on with a touch—no twisting of the wrist to get it to pop up. Garmin claims the battery will last for up to 5 days of activity tracking without GPS, which seems about right in our testing. That said, it’s not nearly as nice to look at as those full-color active LED screens, or even the passive full-color Vívoactive HR. The screen views are customizable, with displays showing step count, flights of stairs climbed, intensity minutes (a measure of workout intensity over the course of a week), calories burned, distance traveled, and heart rate (current and average resting). You can receive all manner of smartphone notifications—phone, text, calendar, email, and social media. It has optional music controls, at-a-glance weather forecasts, and a handy “find my phone” feature that lets you play Marco Polo with your misplaced phone if it’s in Bluetooth range. If you happen to own a Garmin VIRB camera, you can use the Vívosmart HR+ as a remote control for that as well, but we didn’t test this function. Like its predecessor, it’s completely waterproof to 50 meters (as opposed to just “splash-proof” like Fitbit and “water-resistant” like Samsung) for worry-free use in the shower or pool. The Garmin Connect app and website have seen no major updates since our last test (when it had just received a huge overhaul), and remains utilitarian, customizable, and detailed, though not as easy to navigate as Fitbit’s app. However, Garmin’s Apple Health integration gives you more flexibility in how you use your data than the Fitbit, which still has no plans to integrate with Health. The app that Garmin offers with the Vívosmart HR+ can’t compete with Fitbit’s, and that’s its biggest flaw. Garmin Connect has steadily improved from its early days, but it still feels overly complicated next to the Fitbit’s streamlined simplicity. This is largely due to the fact that Garmin uses this app to sync data from a large variety of devices that range from fitness trackers to cycling sensors to top-of-the-line triathlete and mountaineering watches. Meanwhile, Fitbit only needs to focus on the casual fitness tracking audience. As a result, Fitbit’s app shows everything a person casually tracking his or her fitness could want in one scrollable screen, whereas Garmin Connect requires multiple screens to show the same thing. It’s not bad; it just sometimes feels like a convoluted way to access the info you’re after. The other area in which Garmin lags behind Fitbit is in social integration. When it comes to fitness, friendly competition is a great way to inspire improvement, and although Garmin isn’t hurting for users, the company doesn’t have the audience of step-count-focused users that Fitbit has. Garmin is making strides to change that by installing activity tracking in a number of its newer GPS watches, but its core audience still skews much more heavily toward enthusiast runners and cyclists. With the impressive Gear Fit2, Samsung has bounded back with a vengeance from the embarrassment that was the original Gear Fit. The Fit2 had the most accurate heart-rate results in our tests—even for intervals! Plus, it incorporates movement auto-detection, multisport workout options, and GPS tracking for outdoor workouts. It’s also a decent smartwatch in its own right, with options to receive notifications from almost every app on your phone that offers them. In addition, it’s gorgeous and oh-so-slim on the wrist—and the most comfortable to wear, in our estimation—which is remarkable considering all it packs in. However, it’s not fully waterproof, so no swimming or showering. Unfortunately, it lasts just two days between charges, and you can’t use the canned responses for notifications if you’re using it on an iPhone. We found the heart-rate functionality to be very good for a wrist tracker. It nailed the steady-state test, including heart-rate recovery once stopped. On the interval test, it was the only tracker to capture both the peaks and recoveries; every single time I was about to record what seemed like an erroneous reading, it would snap to an accurate value in the split second it took me to read the chest-strap watch—as far as we’re concerned, that’s a win. The GPS is another area where we had some issues. Most GPS-enabled watches let you wait until the GPS signal is acquired before you start the workout timer. When you select an outdoor activity with location, Samsung starts a countdown from 3, then tells you to start your workout, with no immediate acknowledgement that it has found a signal (later, possibly some miles into your run, it will tell you if it hasn’t). I did one 7-mile run in which the Gear Fit2 didn’t find a GPS signal for at least the first 3 miles. During the time it’s not connected to the satellites, it makes an estimate of distance traveled based on internal algorithms and my step cadence. For this measurement, it did an acceptable job on my 1-mile treadmill test, so the estimating is probably okay, as long as you’re not a stickler on record-keeping. When the GPS does record, though, it is very accurate and even shows a graphic map of exactly where you went on the unit’s screen (it’s very cool). The Gear Fit2 was also the most accurate step counter compared to the pedometer I wore. On the first all-day test, it was one step different, which has to be mostly a coincidence, as on that day I rode my bike to and from work, taught a running class, trained clients, and worked out, as well as walked a bunch. Indeed, I found that it counted kettlebell swings and claps as “steps.” Day 2 wasn’t quite so dead-on, but overcounting by only 3.6 percent isn’t too shabby. Its full-color touchscreen offers a lot of viewing options. It’s dark unless the wrist is raised (to save power) but reacts quickly and reliably. You can completely customize which scrollable screens are shown, and screens for steps walked, floors climbed, and heart rate can be expanded for history. Two weeks of data can be viewed at a glance. There are even manual counter screens where you may keep track of your water and caffeine consumed, respectively, as well as a “together” screen that can show you if you’re ahead or behind other users in a step-count challenge; it’s a nice idea, if you happen to know anyone else who uses the S Health app (of the nearly 400 contacts in my phone, only two came up). The Gear Fit2 isn’t quite as capable as a smartwatch, but it comes pretty close. It can be set up to play music from your phone within Bluetooth distance, including Spotify, or from the 4 gigabytes of internal memory on the unit itself, which can be loaded from tracks saved to your phone. It can display notifications from any phone it’s paired with, and even respond to texts with canned replies on Android. Finally, there’s also the option to download various apps from the Samsung Gear store. The Gear Fit2 has 15 workout modes for more detailed exercise tracking, but a few of those are for specific exercises like squats and lunges, which show a graphic of how to properly perform them; these are cute, but largely extraneous. Annoyingly, there’s no Cardio option, and the “other workout” doesn’t track heart rate, so when I did my jumping jack interval test, I ended up using the indoor treadmill mode to capture my pulse. As with Garmin, the Samsung app is also a bit of a weak point. Perhaps we should say “apps,” as you need two: one to control the Gear Fit2’s settings and the other, S Health, to interpret and log your activity data (plus two more background “helper” apps if you have a non-Samsung Android). In a way, we didn’t mind that there were two—it made it easier to figure out how to change settings on the device rather than digging around in one app for that info. Another disappointment is that while Samsung finally began offering an iOS app, you can’t reply to texts or emails from an iPhone. S Health suffers from the same problem as Garmin Connect: With so much customizability, it can make finding the data you want overly complicated. Still, it’s all there, for your data-drilling pleasure. Another quibble is that the screen does turn off even during workouts, and though it becomes visible again quickly with the flick of your wrist, there’s a slight delay that can be bothersome during a fast-paced workout. Another complaint: I wasn’t always getting regular HR readings in the passive mode; one day, I ran a five-mile race with it on and deliberately didn’t set the workout mode—it didn’t take a single reading during that time, when quite clearly my pulse would have been significantly elevated. Finally, it’s lovely to look at, but only when you can see it. It gets a terrible glare in sunlight, making it very tough to read during outdoor activities. Another minus is the battery life. 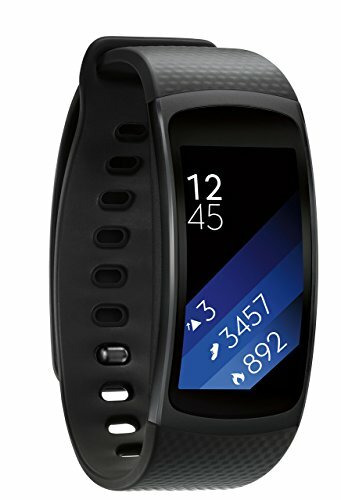 With moderate-to-heavy use including smartphone notifications (but not always GPS), we had to charge the Gear Fit2 about once a day, which is well below the three to four days claimed by Samsung for “typical” use. That said, it became an easy habit to plop it on the charger while I showered and it charges quite quickly. I also found that all that Bluetoothing for notifications killed my Google Nexus 5X battery even faster, so I now turn the Bluetooth on only when my phone is in my bag or similarly less accessible. It’s also not fully waterproof, though with an IP68 certification, it would be able to handle an accidental dunking (up to 30 minutes in 5 feet of water). The Fitbit Flex 2 embodies all that Fitbit excels at. It gets you into the vast social community that Fitbit has cultivated–an important factor, since research has shown social reinforcement to be one of the most powerful motivators in pursuit of fitness. 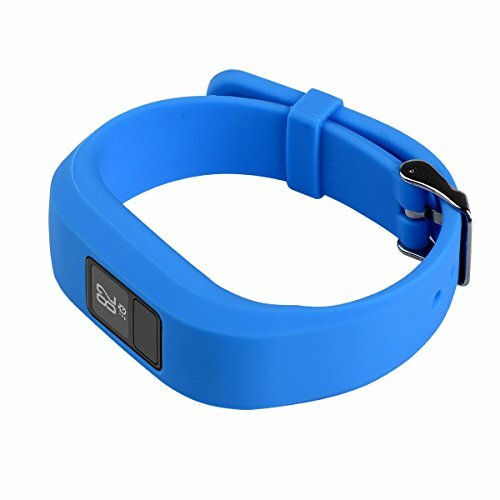 It’s slim and stylish, with a tiny removable tracking unit that can be worn in the included rubbery wristband (in two sizes), in optional bracelet or necklace accessories, or by itself tucked into a pocket or bra. Instead of a screen, between 1-5 LEDs illuminate at a tap to show an estimate of how close you are to reaching your step count goal.The Flex 2 tracks all your daily activity from steps to sleep, plus has auto-workout detection (what Fitbit calls SmartTrack) to record periods of increased activity for you to later categorize in the app. Flex 2 also knows when you’re not being active, sending out a soft vibration if it detects you haven’t moved in the last hour. Unlike other Fitbits, the Flex 2 is waterproof to 50 meters, which means you can track swimming workouts but also not worry about damage if you want to wear it in the shower or accidentally drop it into the tub. 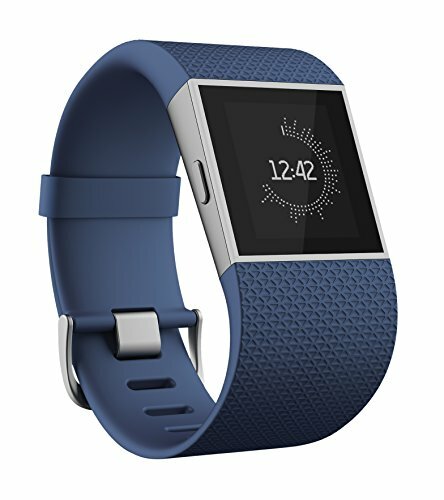 Without a screen, you lose out on instant feedback and even things like being able to see the time, and while those lights also can be set to go off in different colors when you’re receiving a call or text — Fitbit calls these “smartphone notifications” — if you really want more detailed info on your wrist, you should at the least choose our non-HR runner-up, the Garmin Vívofit 3. 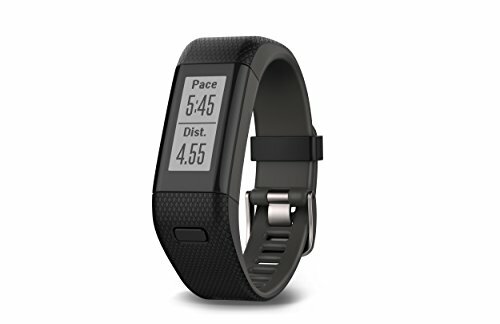 The Flex 2 lacks heart-rate monitoring, but Fitbit’s heart-rate technology continues to lag behind Garmin’s and Samsung’s in terms of accuracy anyway, so there’s no reason to pay the premium for that functionality in the Charge 2 or Blaze, unless you want a better display or connected GPS for accurate distance measuring of walks, runs, and bike rides. 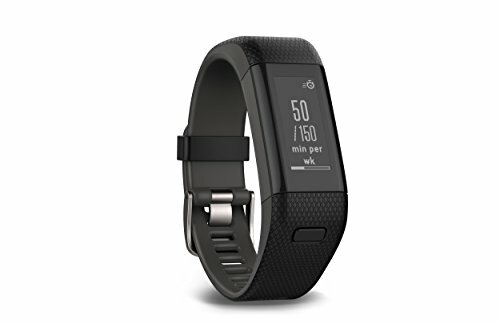 It should be noted that all of the non-HR models tested have similar capabilities, but there’s one thing that the Flex 2 (and the Alta) provide with which other companies can’t compete: access to the vast social community that Fitbit has cultivated, letting you join step or other exercise challenges against other users — a powerful way to keep you motivated to up your fitness game. However, both the Flex 2 and the Alta way overcounted on steps, at least in the traditional sense: up to 30 percent over the recordings of the control pedometer. Unsurprisingly, they both counted claps and kettlebell swings as steps, and missed the lion’s share of actual steps made during the grocery cart test. But at least the recordings were consistently high, so if you’re serious about hitting 10,000 steps, you may just want to aim for 13,000. Also typical to Fitbits, at least in our tests, was a tendency to underestimate distance. It recorded only 0.73 miles of a 1-mile run. Flex 2’s battery life is an estimated five days, on par with many of the models tested, but if you want a tracker you really don’t have to think about, our runner-up, Garmin Vívofit 3, operates on a battery that’s good for a year and doesn’t need to be charged. Finally, the band that comes with the Flex 2 can be a total PITA to fasten, often leaving me with sore thumbs as I pressed and pressed to get those little pegs into the holes. When I tell people I review fitness trackers professionally, I often get asked which of these things is the least “tech-y.” The Garmin Vívofit 3 is the answer. While you certainly get more from the Vívofit 3 if you have it synced to your phone — especially sleep tracking, which doesn’t appear on the unit itself — the beauty of this model is that you don’t have to. I could even see a non-smartphone/non-computer owner just wear it daily and (gasp!) write down the step count in notepad to keep a log. It’s also water-resistant to 5 atmospheres for swim tracking, and an exceptional one-year battery life adds to its general never-need-to-take-it-off-ness. The Vívofit 3 runs on a battery that doesn’t need charging and should last for a year before it needs replacing, removing all need for daily or weekly maintenance. The always-on display provides at-a-glance time of day, steps taken, steps needed to goal (in case you don’t want to do math), distance traveled, calories burned, and “active minutes” (Garmin’s measure of sustained walks and other workouts) — all of which can be edited out if desired via the Garmin app. 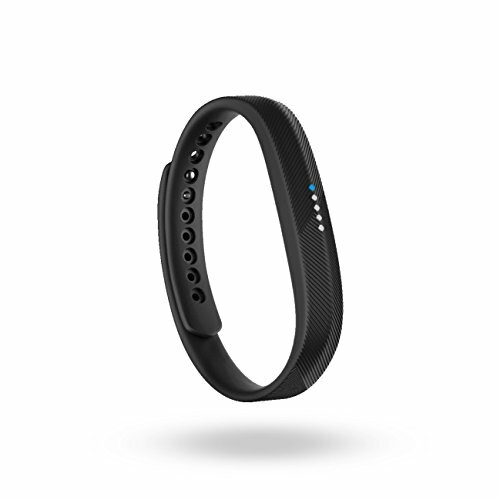 Like most new trackers, the Vívofit 3 also notices if you’ve been sedentary for too long and beeps to remind you to get on your feet, and it includes automatic workout detection, which loads activities to the Garmin Connect app when in a paired smartphone’s Bluetooth range, should you choose to pair it. As for accuracy, the Vívofit 3 fared a bit better than the Fitbits but still measured high on our tests: about 13 and 14 percent over the pedometer on each day tested. It, too, counted claps and kettlebell swings as steps and missed all the steps when pushing a grocery cart. The bottom line, really: If pure step count is your aim, go for a waist-worn tracker or pedometer. Curiously, the distance measuring was subpar for a Garmin, clocking just 0.86 of the mile run; we found the other Garmins tested all measured quite accurately, even without GPS. For a basic clip-on tracker that doesn’t have to be worn on your wrist, look to the Fitbit Zip. It couldn’t be simpler to use. Its passive LED display is always visible, unlike those of the Fitbit One and the discontinued Withings Pulse Ox, which both require a tap or a button press to light up. And with a tap, you can scroll through your stats, unlike on the Nokia Go, which shows only the time and an estimate of your daily progress toward your goal on its e-ink screen. The Zip also requires no charging, running instead on a replaceable watch battery that should be good for six months. It syncs up wirelessly to the Fitbit app on your iPhone or Android handset, or to the Fitbit website on your computer, our favorite companion software for any fitness tracker. There, you can keep a record of what your tracker records, as well as join competitions against other Fitbit users, which can keep you going as you aim to improve your fitness. irregular non-stepping movements in the mix—and as the device is clipped to your torso or waist, those movements are more likely to be valid indicators of your true activity level, as opposed to what you get with wrist trackers that can capture just arm movement. If pure step-count accuracy is essential to you, both Nokia devices we tested were more on a par with the control pedometer, at just 2 percent over. The Zip wasn’t great at estimating distance on our treadmill test, but then again, none of the clip trackers were. The two Fitbits were short, measuring only 0.79 mile (Zip) and 0.87 mile (One) during a 1-mile run. The Nokia devices were long at 1.16 miles (Go) and 1.23 miles (Pulse). The Fitbit trackers allow you to set your stride length manually in their apps, though, so you may have better results if you do that. Note that the Zip doesn’t offer sleep tracking. 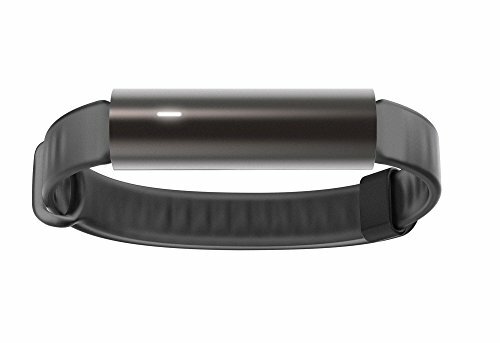 The other three tested clip models do, but you must wear them on your wrist for them to do so (bands are included), and only the Nokia Go does it automatically—you have to remember to start the sleep functions on the Fitbit One. For these reasons, we think a wrist-based tracker that records sleep automatically is a better all-around choice for evaluating your z’s. Finally, the Zip is not waterproof—none of the tested clip models are—so don’t leave it attached to your jeans when you toss them into the laundry. Samsung announced the Gear Fit 2 Pro, an upgrade to our runner-up pick, the Gear Fit 2. It has a lot of the same features as the original, like Spotify support, but the Pro has continuous heart-rate tracking and is also water-resistant, so you’ll be able to track your swims. 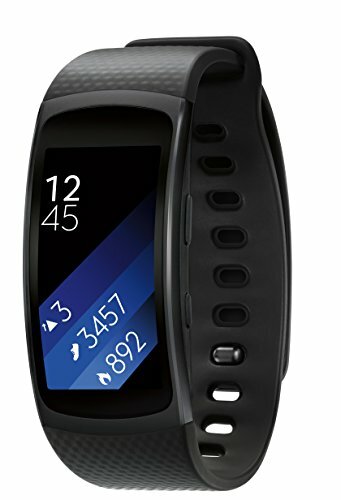 You may preorder the Gear Fit 2 Pro now. Garmin announced its new line of wearables, which includes the Vivosport. The Vivosport combines the features we loved about our current top pick—including GPS and HR monitoring—with the sleek look of the Vivosmart 3 and a full-color screen. It’s available to pre-order now for ₹30,000, which is more expensive than any of the fitness trackers we currently recommend. 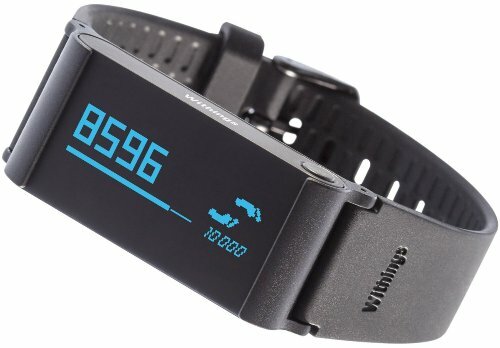 We won’t be sure whether the Vivosport will actually be worth this higher price until we actually test it, which we plan to do once it’s available. 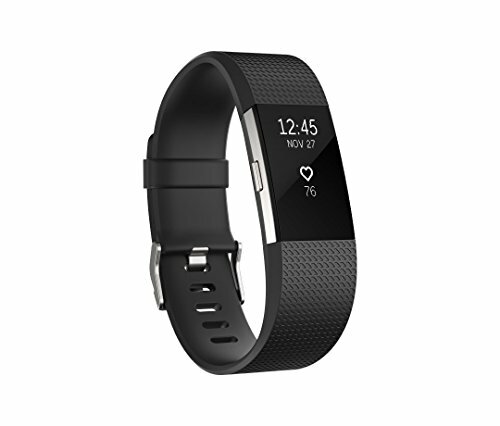 The user-friendly Fitbit Charge 2, with its exercise auto-detection and motivating movement alerts, is a fine pick, especially if you want workout modes to log your exercise sessions manually or would like connected GPS to track runs or bike rides using your phone. But with the erratic heart-rate tracking technology, Fitbit isn’t for you if your exercise program follows strict heart-rate zones. The updated sleep-tracking software (also available on the Alta HR and the Blaze) utilizes resting pulse rates to better inform how your night went. Make every beat count with Fitbit Charge 2 - the all new heart rate and fitness wristband built for all-day, workouts and beyond. Pure pulse continuous heart rate makes it easy to maximize workouts, better track calorie burn and get a snapshot of your cardio fitness level, while all day activity and auto sleep tracking, lets you see how your whole routine adds up. Record your workouts with multi-sport modes to see real-time workout stats on screen or rely on smart track to automatically record select exercises for you. The large OLED display helps you stay connected with call, text and calendar alerts, stay active with reminders to move and find moments of calm with personalized guided breathing sessions. Plus, you can find a look that fits your style with customizable clock faces and interchangeable bands. With more advanced features in a sleeker package, it's the motivation you need to push yourself further every step, every beat and every day. 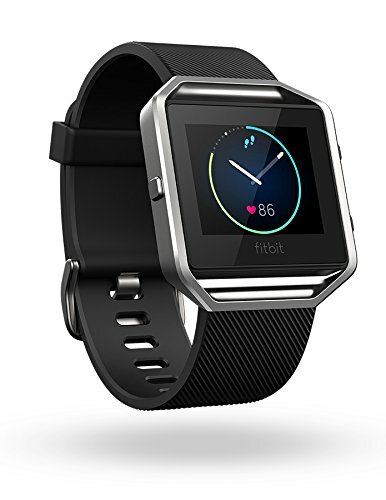 The Fitbit Alta HR, an update to the Alta (below) has a trim appearance with many of the same features of its predecessor, plus on-board heart-rate monitoring like the Charge 2 and the Blaze (also below). The Alta HR lacks a workout mode, relying instead on exercise-recognition software. This makes tracking your heart rate during a workout nearly impossible (I did my HR tests by watching the HR rate via the smartphone app), but that’s just as well, as we found the Fitbit tracking software to be rather erratic and inaccurate during exercise. It seems to work just fine, however, when informing the sleep-tracking data. 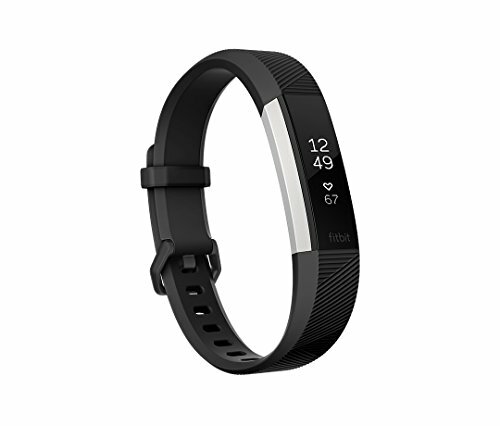 Fitbit alta hr let the alta hr from Fitbit take you from walks to workouts, one mile at a time. Thanks to its pure pulse heart rate, you can track it all without a pesky chest strap. With the smart track auto exercise recognition, the alta hr will automatically detect and log your workout so you can see all of your steps, calories and distance. With reminders to move, you'll meet your daily goal in no time. The Fitbit Blaze offers robust smartphone notifications and Fitstar-guided workouts, but we don’t believe these differences from the Charge 2 justify its higher list price. It’s also a lot larger on the wrist, which not everyone likes in a fitness tracker. Get fit in style with Fitbit blaze, a smart fitness watch that helps you maximize every workout and every day. With advanced technology in a versatile design, this revolutionary device is built to track your workouts, monitor your performance stats, and gauge your progress. Pure pulse continuous heart rate and multi sport modes enhance every exercise, while next generation features like connected GPS and fit star workouts on your wrist help you take your fitness to the next level. All day activity and sleep tracking and call, text and calendar notifications help you track your day with ease and interchangeable band and frames and customizable clock faces on the hires color touchscreen let you personalize your style for every occasion. With all this and more, Fitbit blaze has everything you need to reach your goals, packed into one sleek time piece. Mio Slice adds an interesting new element to the market, measuring all-around activity with its proprietary PAI (“personal activity intelligence”) rather than highlighting step count as the primary stat. Even after testing, it still seemed a mystery as to exactly what counts and what doesn’t. Still, the challenge of hitting activity targets over a week’s time rather than a day may be more motivating to some users. The onboard heart-rate sensor appears to be quite accurate, though without an always-on screen, it can be annoying to view during a workout. 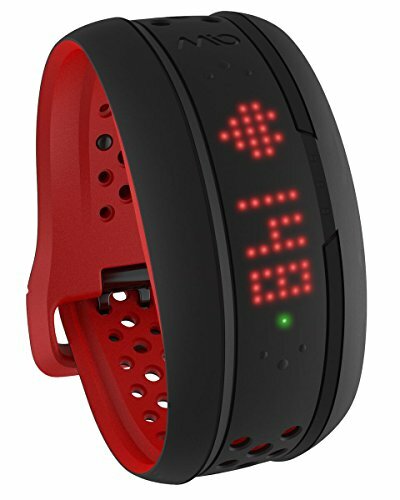 Mio fuse crimson 59P-LRG heart rate training with activity tracker: Capture your entire daily performance and reach your fitness goals. EKG-accurate heart rate data, with no chest strap required tracks steps, pace, distance and calories to provide a complete assessment of your daily effort customizable display and configurable heart rate zones connects to fitness apps with bluetooth smart (4.0) sync heart rate to bike computers and GPS watches via ANT+ stores activity data and wirelessly syncs to the Mio go app water resistant to 30m (3ATM). Mio fuse crimson fits large wrist sizes: 156 -208mm/6.1"-8.2". Also includes: Quick start guide, warranty information, charger. We tested the UA Band, part of Under Armour’s heavily promoted HealthBox. For a variety of reasons, it didn’t measure up: In my two-day-long step-count tests, its accuracy was abysmal, though consistently so: 30 percent and 32 percent too low, respectively. It’s stiff and the fit is odd: too oblong for my wrist, so it creates pressure on the top and bottom yet is a little loose on the sides. Finally, the underwhelming PMOLED display looks fuzzy. The TomTom Touch purports to measure body fat percentage and muscle mass along with standard fitness tracker metrics such as heart rate. However, it performed so poorly in our basic all-day step-counting tests (registering almost twice as many steps as our control on both days!) that we’re setting it aside for now. Track what you're made of with body composition analysis and complete it with your steps, sleep and heart rate data. Body composition analysis. Measure your body fat and muscle mass percentage. 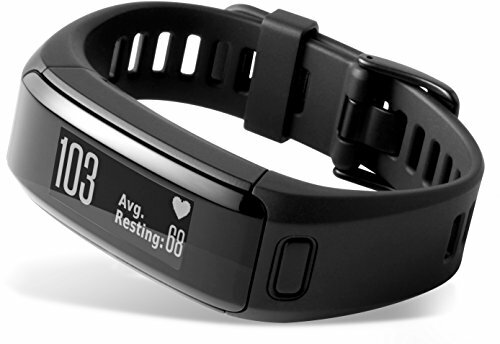 Built-in heart rate monitor lets you get 24x7 heart rate information on your wrist. 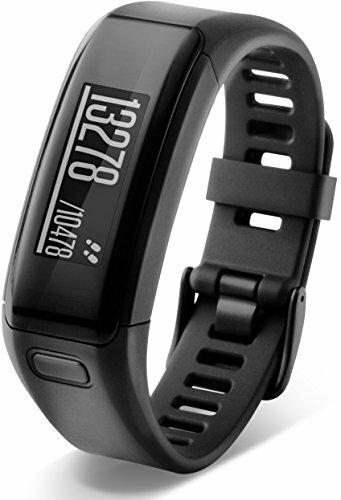 24x7 activity tracking captures steps, active time, calories burned, distance walked and sleep time. Sports mode logs your sports and workouts and track your stats. Swipe through the stats on the touchscreen. Receive incoming call and text notifications right to your wrist. The Misfit Ray abstracts activity as “active points” that you earn by moving in a variety of ways, which it auto-detects. The smartphone notifications are about as helpful as Flex 2’s (e.g., not very) and Fitbit’s social aspect and Garmin’s super simplicity edged it out as a pick. But if you like its look or you’re an avid swimmer, it’s worth your consideration. Performance in its purest form. Misfit ray is our most minimal and versatile tracker. It delivers the fitness and sleep tracking you need to stay motivated, including steps taken, distance travelled, calories burned, activity tagging and sleep duration and quality. It also never needs charging and is water resistant to 50 meters, so it can be worn constantly. That means more data, better insights and more powerful motivation. ray’s clean lines create a form that is as much about fashion as it is about function. Wear it stacked with a smart watch and cuff or customize it to your style. It features hidden 8mm spring bars that allow it to be worn with almost any standard accessory, including watch bands, bracelets or necklaces. The Withings Pulse Ox’s somewhat blurry-looking display and lack of any sort of smartphone notifications make it feel behind the times in comparison with the other units. Features like fingertip pulse tracking and blood-oxygen reader couldn’t make up for these shortfalls. The Pulse Ox has been discontinued in favor of the upcoming Nokia Steel HR. We’ll see how its new features hold up when it comes out in the fall. The Withings pulse ox is an advanced activity and health tracker. This versatile, wear it your way, device offers multiple options. Place it on your wrist using the wristband, attach it to your clothes with the clip or simply put it in your pocket. Pulse ox tracks your activity all day, including steps, elevation, distance, running and calories burned. Place your finger on the back of the device and get insights into your heart rate and blood oxygen level. At night, pulse ox tracks your sleep patterns. 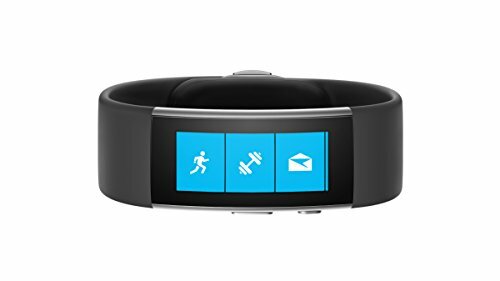 While initially intriguing, we dismissed the Microsoft Band 2 during our last test due to its consistent overpromising and under-delivering, questionable accuracy, and awkward landscape-only screen view. It has now been discontinued. The Fitbit Surge didn’t make our cut, as its GPS features were substandard compared with what was available in fitness-tracking running watches when we tested. For its sticker price, you can do much better. The Polar A360, reviewed in our last roundup, simply didn’t measure up in either its tracking or other functions, and was particularly disappointing in its heart-rate measurements, especially since that technology, in chest-strap form, is what Polar is best known for. 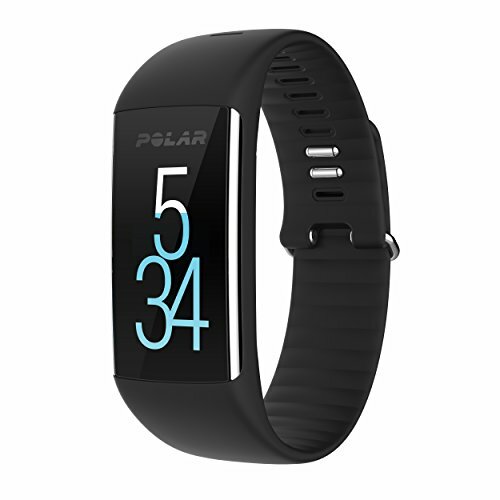 Monitoring every element of your fitness-fueled lifestyle, the Polar A360 Fitness Tracker is a smart fitness watch with a sleek, elegant-looking design. The A360's wrist-based heart rate monitor ditches bulky chest monitors and measures your heart rate with flashing LEDs along the underside of the watch, so you're able to exercise at optimal intensity to make the most of every workout. Movement-based metrics provide speed and distance stats when you're walking and running, regardless if you're on the treadmill indoors or jogging through the neighborhood. 24/7 activity tracking counts steps and automatically monitors sleep time and quality. Used with Polar's Flow app, the watch's 24/7 activity tracking supports your daily fitness goals and commitment to better sleep. The Smart Calories function provides an estimate of calories burned, based off your physiological data (weight, height, age, and gender) and is crunched alongside daily activity and heart rate stats. Plus, its waterproof design won't succumb to soaking rains or submersion, so it won't be game over when you get caught out in the rain on your run. Keeping up to date with tech-savvy trends, the A360 connects via Bluetooth with your smartphone, delivering text message updates, incoming calls, and social media notifications directly to your wrist. Smart notifications are incredibly useful for exercising without being tethered directly to your phone. The A360 is compatible with iPhones running iOS7 or later and Android 4. 3 or later smartphones. The included Micro USB cord charges and syncs the A360's data when it's connected to a Mac (OS X10. 6 or later) or PC (Windows XP, 7, 8, or 10). 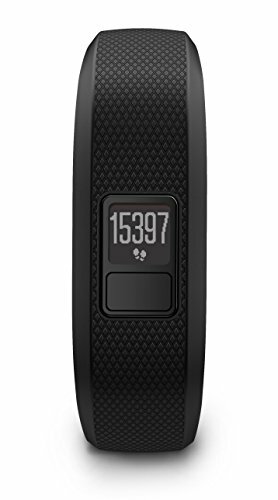 The Garmin Vívoactive HR has 15 sport-related workout modes, which may appeal to the sport dabbler. But it’s a bit big for a simple fitness tracker, and many of those who would gravitate towards it would be better served by a dedicated biking or running device. Our former top pick, the Garmin Vívosmart HR, is still a worthy choice, if not as advanced as the new HR+ and not quite as on-the-ball with its heart-rate tracking. Otherwise, it looks, feels, and performs the same as our top pick.